Harry Palmer is an agent with British Intelligence. Very little is known about this blue-collar member of the espionage profession. In fact, we don't even know his name. In the four novels about this agent, his name is never mentioned once. Aliases are used but his true name never comes up. He is named 'Harry Palmer' only in the movies made from his books. The producer, Harry Saltzman (co-producer of the first few Bond films) wanted a name for the character. 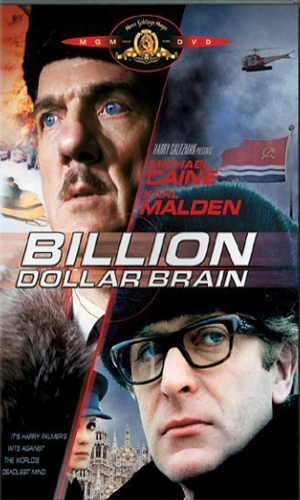 Together with star Michael Caine, they came up with the most 'boring' first and last names they could think of. We know he attended college but where and for what is not said. We know he likely hails from Burnley in Lancashire, although that is by no means certain. Mostly we know that he served in the Army in the Intelligence field during the war and for a considerable time afterwards. It is from this service that he is just being released and hired by the autonomous bureau with the initials W.O.O.C.(P). In this new position, he is seconded under a man named Dalby for the first novel and Dawlish in the remaining ones. Harry Palmer stands 5'11 and has blue eyes and dark brown hair. He has a dark complexion with no visible scars. He wears horn-rimmed glasses. He lives in a small flat just south of the Thames river in London where he is constantly being reminded by the gas company, the electric company, and the phone service that paying bills is a good thing. He is not particularly successful with women but then he doesn't seem to try that hard, taking them when he can. He enjoys an ongoing relationship with his secretary, Jean, but also enjoys, on occasion, the company of others. The world is a rather gray place to live, apparently. Harry never gets too happy or too angry. He is often saddened by the actions of his fellow man but never seems too surprised when they occur. His wit is often biting but it snaps at himself as often as it taunts others. There are two additional books that are often thrown into the Harry Palmer series. 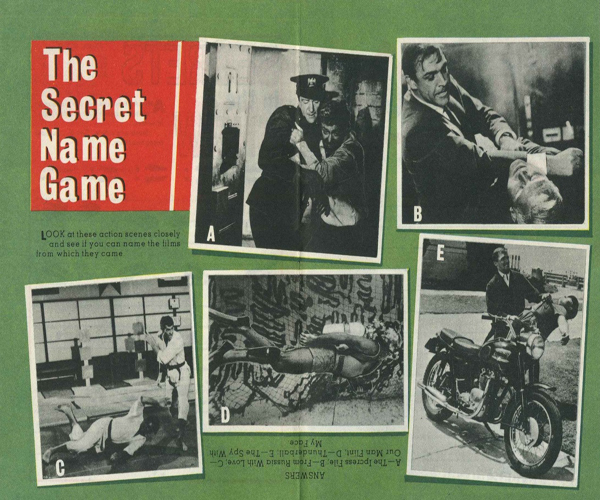 Spy Story (1964) and Catch A Falling Spy (1974) were both about unnamed British agents with attitudes similar to Harry Palmer but without any of the supporting cast members or the same organization. 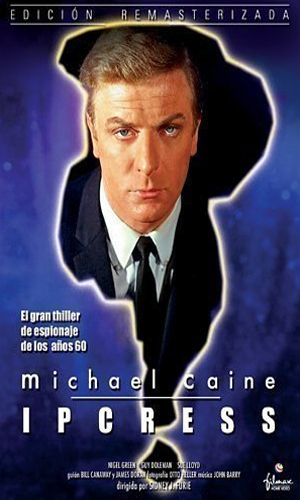 Many years after the third movie was made, Michael Caine reprised his role as Palmer in two more movies, from which no books were written. Both came out in 1995. 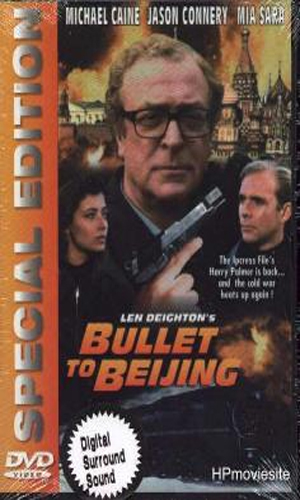 The first was "Bullet To Beijing". In this adventure, Palmer has been released from the W.O.O.C. (P) and is not happy about his pension. He makes ends meet by taking a job with a Russian millionaire in St. Petersburg to recover a dangerous biological binary weapon said to have been stolen by the North Koreans. It is quite hard to follow all of the twists in the storyline but it is good to see Harry back. 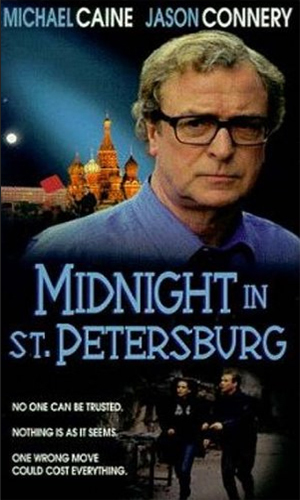 The second movie was "Midnight In St. Petersburg". Harry has joined with his comrade, Nikolai, from the earlier movie, in a private investigation agency. Their first major case is the disappearance of stolen plutonium. Both of these movies were made at the same time. Both did not fare too well but it was really good to see Michael Caine as Palmer again, more mature and less snarky but not without a bite or two. 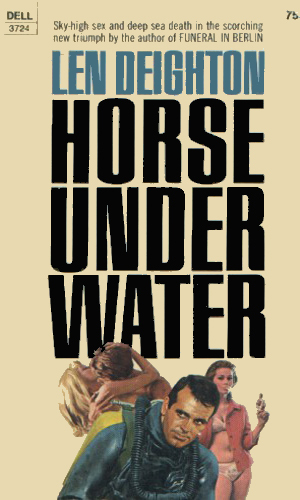 As Harry joins the bureau and tries to get his back pay and expenses from his time in the military, he is sent to rescue a biochemist held in Lebanon and from there to a South Pacific island to observe an atomic bomb test. Then somone is killed, Harry is a suspect, and things go downhill from there. Dawlish sends Harry to Portugal where a sunken German vessel holds a cache of counterfeit money. A revolutionary group wants the British to help get the money. They agree. Naturally, things are never what they seem and soon two members of Harry's group are dead and Harry lucky to be alive. The British wanted a Soviet scientist. So did the Israelis. The ones not wanting him were the Communists. For money, they would hand him over to Harry in East Berlin. There another group would, for money, sneak him across to the West. Everyone got something they wanted. Then betrayals started and people began to die. When Harvey Newbegin approached Harry with the chance to make easy money using his connections to smuggle items to Finland, Harry and his boss, Dawlish, become certain it is more than a black market enterprise. The items in question turn out to be a set of highly dangerous 'eggs' filled with a deadly virus. The clinic in Paris caters to the rich, powerful, and likely perverted, providing all desires to its clients. It also records all activities in the hopes of getting useful information or blackmail material. Now agents from four different powers are interested in what the file might contain and Palmer is one of them. Harry Palmer has to contend with his own side as he looks into the brainwashing of kidnapped British scientists. 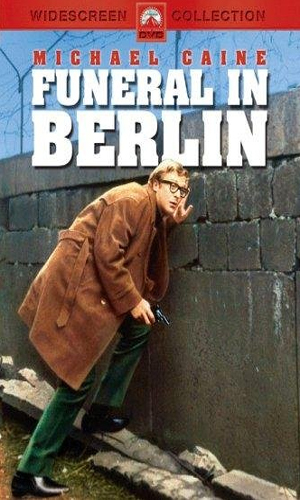 Harry Palmer heads to Berlin where a Communist defector needs help coming over but there is always more to the story. Someone has a plan to overthrow the communist countries using a super computer and Harry Palmer is sent to find out who. Harry Palmer is called back to active duty to work to stop North Kora from finding a virus called 'Red Death'. Harry Palmer is now a private eye in Russia. He is given the job of getting back a shipment of stolen plutonium. D. C. Thomson & Co. Ltd.
From the pages of Diana's Top Secret Diary. Name the movies in the 5 still scenes that are shown. 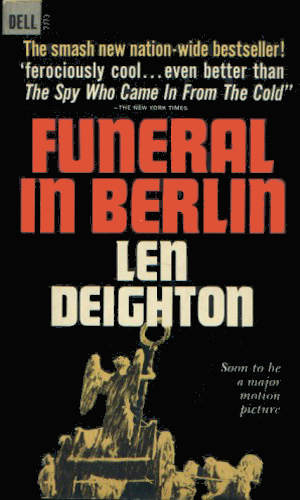 As my friend and author, Keith Farrell, described it, Len Deighton wrote 'grown-up' spy novels. That is exactly the best description of the series and the main character. Harry Palmer isn't out to save the world; he wants a job that lets him pay his gas bill. He doesn't expect a lot from himself or his fellow man and, therefore, isn't too surprised when that's about all he gets. But the descriptions of the situations, the explanations of the actions, and the general flow of events are superb. Most enjoyable, to me, regarding this series is that when all the facts are in, he understands what is going on. He is a smart man. He is a capable man. He just isn't a very ambitious man. I would like Harry. I just don't know if he'd like me. The greatest. Still so engaging and laugh-out-loud funny. My all time favorite. 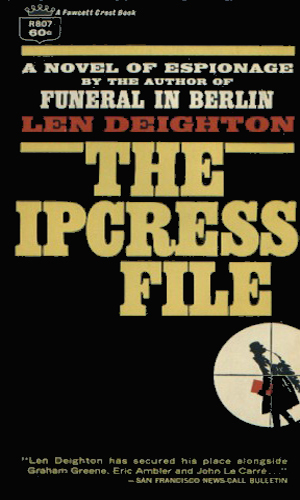 The Ipcress File catapulted Deighton into the very to echelons of espionage writers and for good reason. Although he is often categorised with Le Carre, the two are markedly different. 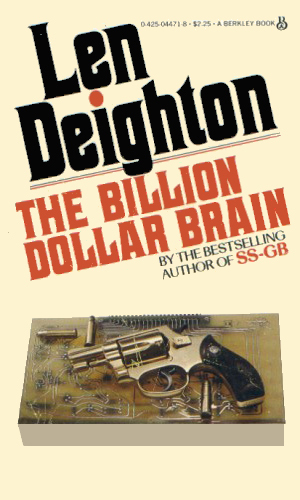 Deighton created the first anti- hero with his "Palmer" books and he was so right for his times. The dialogue was extremely hip and no wonder the screen versions made Michael Cain one of the coolest guys in London. A real anti-dote to the excesses of the Fleming imitators, these books became classics of their time and of all time. The first two are the best. 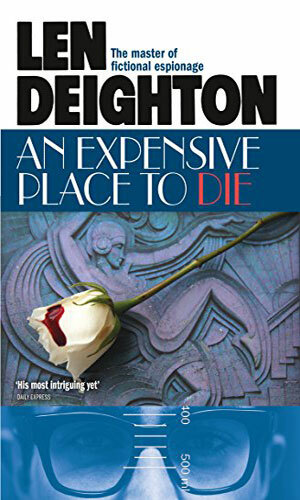 The fist paragraph in any deighton book,and your hooked.EddieLove says it all .The best.